Indoor vegetable gardening is ideal if you want to grow your own vegetables but are unable to because you do not have the space, or if you want fresh vegetables during the winter months when the cold makes it impossible to garden outdoors. Containers for indoor vegetable gardening can be just about anything - old cans, discarded plastic containers, or you can purchase pots at any gardening store. But, whatever container type you select ensure that there are drainage holes in the bottom and sides wherever possible. With plastic and metal/tin containers you can make your own drainage holes by punching holes into the container with a sharp object. The soil type used varies based on the type of vegetables being grown. 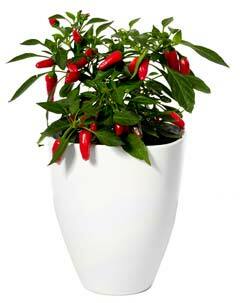 And, those using hanging pots will need a lighter growing medium than containers that are kept on a flat surface. The choice of soil is a personal one; some gardeners opt for store-bought soil, whether others mix their own. Whichever option you choose, the soil should be lightweight and drainable. Clay soil is too heavy and does not drain well, while a mixture of sand, soil (some experts advise against using garden soil) and mulch should produce good results. Never pack the soil tightly as this will restrict root development. Also leave a few inches at the top of the container so that watering is easier. Next, select your seeds or seedlings. If you want to start from scratch, sowing seeds is the way to go, but if you want a head start on your project, buy ready to plant seedlings. Once you have planted the vegetables careful attention must be paid to watering them. Plants, vegetables or not, that are grown in containers need to be watered carefully so as not to over water or to under water; daily or every other day is good. In addition, there is little need for weeding. Apart from ensuring a supply of fresh vegetables, indoor vegetable gardening is a fun and relatively inexpensive activity. 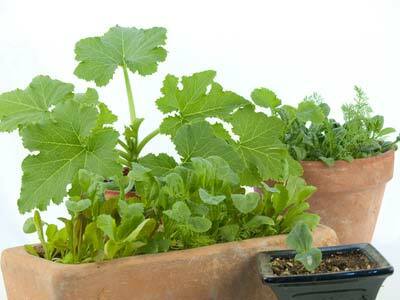 Persons with mobility issues who love gardening can still enjoy this pastime with indoor vegetable gardening. With patience and care your indoor vegetable garden can keep you in fresh vegetables all year round. Note: If you have some great tomato gardening tips to share, or want to show off your vegetable garden design or send photos of your bumper vegetable crops, please Contact Us - we'd love to add it to our pages.